The A/E/C industry has seen many mergers and acquisitions in the past few years. As a follow up to the original “Scary Merger Name” blog, we gave some thought to a few more that would be fun to see! Typically, when a clubhouse hits around 15 years since a major renovation has been conducted and the membership is beginning to feel either the neglect or lack of modern amenities, the ownership starts thinking, is now the time to embark on a major change in the form of a capital improvement project? The next elephant in the room to address is deciding whether to renovate or build new. The gut reaction might be to renovate the existing facility, as the perception is that this is the fiscally responsible option to appease the membership. However, renovations, depending on the scale, are not always less expensive than new construction and can come with difficulties not seen with new construction. Some of these difficulties would include asbestos or other hazardous materials abatement, difficult site conditions, poor soils, and outdated mechanical and structural systems. Will a renovation fit the changing landscape and programming of the club? Will a renovation attract new members? Is the building still perceived as aesthetically pleasing? Are there extensive unforeseen conditions that would cause a renovation to be expensive? This year my wife, Vicki, and I celebrated 20 years of marriage; and we can both tell you we are grateful, it’s been mostly harmonious. What makes it work? I’m no Dear Abby, but as I reflect on how my wife and I interact, I realize there is an alignment between the actions that help personal relationships succeed and those that bolster client relationships. (1) Put the toilet seat down. OK, not literally, but identify what makes your client insane. People can drive others crazy through their idiosyncrasies. Watch body language as you just may have a habit that is getting under your client’s skin, such as how you greet them, address them, or smack your gum. This isn’t about you; it’s about them and their issues, so don’t take it personally. (2) Tell her she is beautiful. This is easy for me to tell my wife because it’s true. That said, when she was nine months pregnant and was miserable with edema and emotionally done being pregnant, I made a conscious effort to remain patient and make her feel loved. Everyone has insecurities and knowing what your client’s are, and managing them correctly, is critical. Ever stop to think that your client is scared to death about screwing up a project? A compliment and or a bit of encouragement from an industry professional can go a long way in calming nerves. 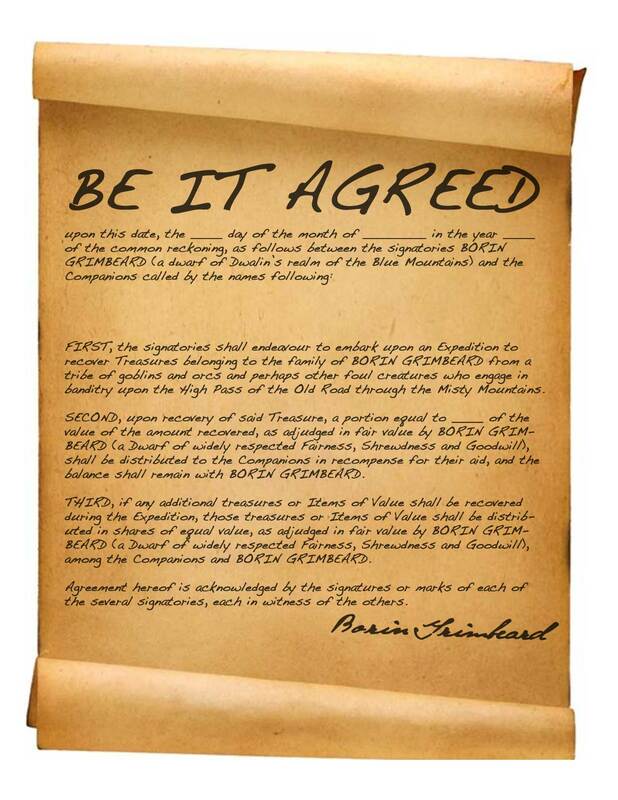 Should You Be Using AIA Contract Documents? AIA documents are fair. AIA contracts and forms are consensus documents that reflect advice from practicing architects, contractors, engineers as well as owners, surety bond producers, insurers, and attorneys. AIA documents balance the interests of all the parties, so no one interest, including that of the architect, is unfairly represented. AIA documents reflect industry practices, not theory. Where practices are inconsistent or no guidelines for practice exist, the AIA documents provide a consensus-based model for practitioners to follow. AIA documents reflect changing construction practices and technology. AIA documents are revised regularly to accommodate changes in professional and industry practices, insurance, and technology. AIA documents reflect the law. AIA documents are revised and updated to incorporate changes resulting from court interpretations and rulings, legal precedent, and nuances. AIA documents are flexible. AIA documents can be easily modified to accommodate individual project demands. Such changes are easily distinguished from the original, printed language. AIA documents are easy to interpret. AIA documents use the common meaning of words and phrases. Industry and legal jargon is avoided whenever possible. My wife’s car was twelve years old and between the paint touch-ups from my guy Benny and the engine that rattles more than an angry snake, it was time to move on. I reached out to my brother and resident deal-hunter for advice. He told me not to be afraid of buying a car out of state if it was the right car. He expanded on the concept by indicating that when you buy a car from a far distance the built-in road trip back to home allows you to form a bond with the car and your travel mate making the new car an experience rather than a purchase. Although I love watching shows about junkyard cars coming back to life, I would not claim that I am a “car guy.” That said, I do understand the attachment that comes along with major purchases like this, especially ones that offer a bit of a vacation. So we did it. We bought the used car my wife had found in Salt Lake City and my thirteen-year-old son and I flew out in the morning. We completed the purchase and cruised the ten plus hour drive with impromptu stops to enjoy the sites along the way. My techie, knowledge devouring son had read the entire manual by hour two and discovered things about the car we didn’t know we purchased, like remote-start. Around the bend arrives Grand Junction–time to hike through the canyon; at Rifle–grab an ice cream, and so on. Who Should Own the Contingency? A good contingency plan requires continuous thought and planning, whether you are going on vacation to Mexico, climbing Mt. Everest, or tackling a capital improvement project–things go wrong. As a father of three, and a business owner, I find myself commonly swerving through what could go wrong next and how to circumvent potential obstacles and recover from bumps in the road. I am not being pessimistic; I am being a survivalist. When it comes to navigating a project budget, proper management of the contingency is an area that can influence a successful project outcome. Who manages it? Who carries it? And, how do you make sure it doesn’t get inflated to the point of stopping your project? While there are many discussions on the subject of contingency we could hash over, this blog addresses why an owner and general contractor would want to have a portion of the contingency in the GMP. Having the contingency in the GMP as part of the budget gives the general contractor, and the other consultants, confidence. They are able to adjust their risk management by being informed and not operating with a blind spot. Owners can tell a project team the contingency exists, but many have been burned by having those funds removed when there is a change in leadership or poor budget management. 2) Can I access it? Just because a contingency exists in the master budget, doesn’t mean that the owner will release it. Having the contingency in the GMP prompts the necessary conversation of how it can be used and when; this communication often leads to smoother approval processes. More close to home, I have reviewed the AIA, AGC, and the Deltek reports, spoken with numerous industry professionals, and analyzed trends on the projects we are managing to conclude the following opinion: generally speaking, there continues to be skeptical optimism related to continued growth and architects feel less positive than general contractors; this makes sense since much of the design work associated with the uptick in 2016 is complete while contractors are still riding the delayed wave of new work. Companies hired more staff in 2016 than in previous years and we saw a trend of professionals changing companies at a higher rate than previous years. Many seasoned professionals are retiring and the absorption of smaller firms by larger ones, although slower than the 2015 record of 234 sales of U.S.-based A/E firms a 5.4% increase over 20141 is still occurring. It all started with a spider—a giant 13-foot spider. “Harold,” who lives in my crawl space all winter and summer, emerges every Halloween in our front yard. He holds a special place in my heart as my kids and I designed and built it together. Halloween, more than any other holiday, reminds me of how design and construction engages a community and impacts all involved. Since the birth of Harold the neighborhood kids have requested to get involved; we decided to design/build a haunted house in my garage. Like all our projects we began by drafting a solid design. It has been an adventure being part of this Halloween construction evolution. 1. The first year was a simple room with games. It was ok.
2. The second year was a two-room-scene–one with an outdoor cemetery and on the inside a day-of-the-dead dining room. 3. The third year we created a crime scene complete with a digital ghost projection. Although it was cool it did not have proper flow and the result was less than scary. In speaking with a Principal of an established architectural firm that recently entered the Front Range market, I came to find out he and his colleagues were perplexed by firms’ common practice of sometimes using professional fees as a differentiator when submitting on projects. “What’s the deal with professional architectural fees in this market?“ he asked. He went on to explain that his firm, established in other geographic markets, is not accustomed to deviations in fees between firms. It appears that in the Front Range market, fees carry weight in owners’ hiring decisions and teams are willing to set their fees to differentiate themselves. While our market has a common industry fee (by project type) and although the standard fee has never been corroborated, it is known by all. My new colleague was clearly frustrated as he worked to adjust to his new region’s pricing culture. Was he implying fees should be established by region and project type? Should owners dictate what the fee is, or should firms, be it owner’s representatives, architecture firms or general contractors, have an understanding through professional organizations, albeit non-union, to advise on how to establish fees? It seems to me, free market tendencies apply the same to the A/E/C industry as they do any other industry; should that change?